Sports Pack rescues men and women from post-workout and post-treatment aches, pains, swelling and redness. Compact and portable, the Doctor Designed Sports Pack is soft and pliable to adhere comfortably to your body. Drip and mess-free, it beats a melting ice pack or soggy hot towel any day! It’s hypoallergenic, non-toxic and, best of all, reusable. 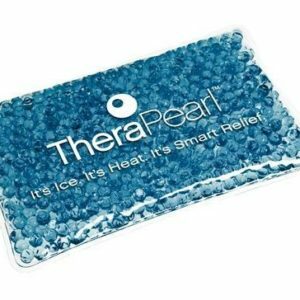 For durability, cost and effectiveness, disposables can’t match THERA°PEARL’s value. Chill it in the fridge or freezer for analgesic cold, or pop it in the microwave for penetrating heat. The pack holds its therapeutic temperature for a full 20 minutes so you get fast, soothing relief. It’s perfect following any strenuous activity or accidental run-in with a table leg. 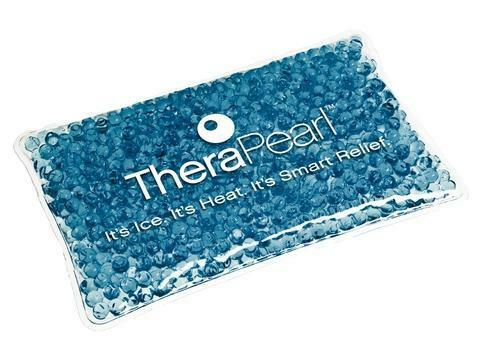 THERA°PEARL Pack should be applied to skin for doctor recommended time of 20 minutes. Remove and wait at least 20 minutes. Reapply pack for 20 minutes, if needed.HEAT THERAPY – Microwave for time indicated below and test pack temperature. Heat for additional 5 seconds as needed until desired temperature is reached.